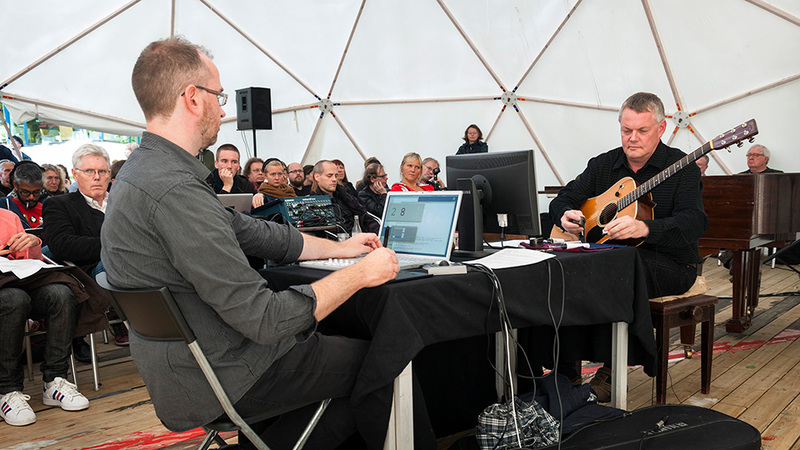 A collaboration with lute player Peter Söderberg in a duo performing on plucked string instruments and live electronics. Interpretations of American experimental composers such as John Cage, James Tenney, Alvin Lucier and Steve Reich, as well as original works and improvisations. Recordings released on Phono Suecia (PSCD 186) and Alice Musik Produktion (ALCD 028).